For newlyweds, there’s nothing better than kicking off life’s journey with an incredible honeymoon vacation. Some couples prefer to relax away the stress of wedding planning and enjoy lots of quiet together time, while others opt to make their honeymoon the adventure of a lifetime. If you fall somewhere in the middle, a cruise might just be your perfect getaway! With superb amenities, luxe accommodations, world-class restaurants, and bucket list destinations, cruises really are a marvelous way to spend a honeymoon. On a cruise, the planning has been done for you and services are often all-inclusive — it doesn’t get much easier than that! You have the luxury of visiting a handful of port cities, but only unpacking once, and venturing to remote locales you might otherwise never explore. All you have to do is sit back and enjoy the ride. When you first say the word “cruise,” a massive, bustling, tropics-bound ship might come to mind. There are Caribbean liners that boast the world’s tallest waterslide at sea, robot bartenders, Broadway-level entertainment, or even a casino. Many of these colossal cruise ships host lots of physical activities, with basketball courts, running tracks, rock-climbing walls, and batting cages on board. Caribbean cruises are known for their party atmosphere, which can certainly be a fun way to keep your wedding celebration going. For an entirely different feel, look into smaller ships and yachts, sailing all corners of the globe. These luxury liners might have only 50 large staterooms for a much more intimate experience, while maintaining such amenities as Michelin Star restaurants and sumptuous spa treatments. There’s usually a high crew-to-guest ratio, meaning lots of personal attention. Smaller ships are also able to reach lesser-traveled ports of call. Luxury vessels bring their own kind of fun, too, with some ships offering themed voyages — cuisine, for instance, where there might be on-board cooking demonstrations and classes, trips to the local market whenever you dock, and tastings of regional wines. Whether party boat or luxury liner, here are some of the many cruise destinations ripe for honeymooners. As a jumping-off point, these are just a handful of the island nations you might explore on a Caribbean cruise: British Virgin Islands, St. Barts, Antigua, St. Lucia and Grenada. While a tropical cruise tends to fit the party animal vibe, it’s certainly possible to book a more romantic excursion to the Caribbean or other islands. When searching for cruise options, look for voyages that highlight romance. To ensure there are fewer families with screaming little ones on board, delay your trip until autumn when kids are back in school, or seek out a kid-free cruise. But even if you do plan a tropical cruise on a family-favorite line, most of these ships have adult-only areas on board, including spas and fine dining. You can also opt for a “romance package,” complete with long-stem roses, chocolates, and champagne waiting for you upon arrival, to make things a little more intimate. Asian cruises are starting to gain popularity these days, as Asia is on many couples’ bucket lists, but the planning has them running scared. That’s why a cruise is such a fabulous way to explore this corner of the world! A cruise ship truly simplifies an otherwise hard-to-plan trip, as you can sit back and let the professionals choose your destinations and narrow down your daily excursion options. Just some of the places you might journey include India, Singapore, Tokyo, Hong Kong, and secluded beaches along the Indian ocean. Day trips include jaunts to Cambodia or the Great Wall, while days at sea between destinations allows for lots of rest. An Asian cruise is the perfect mix of adventure and relaxation. 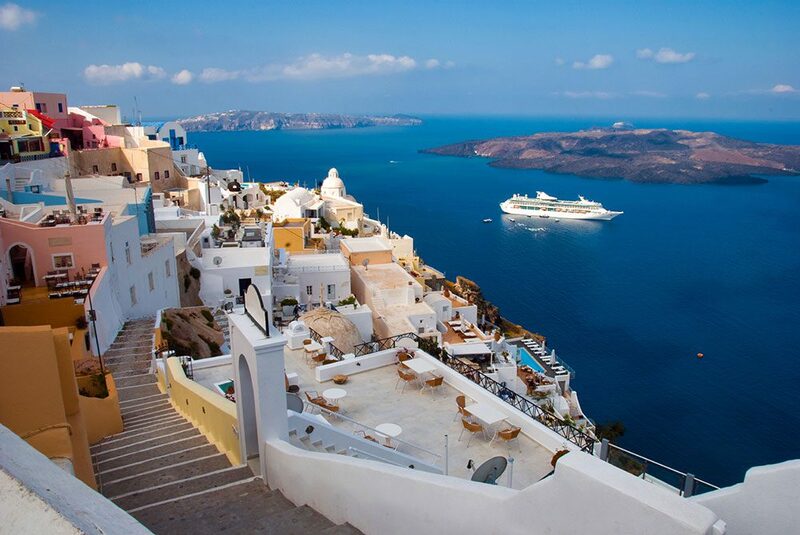 A cruise along the Mediterranean is a fantastic way to experience a slew of cultures in a small trip. Because there’s so much to see and do and each port of call, a Mediterranean cruise isn’t the best option for newlyweds who prefer to sit by the pool all day. But if you’re itching to explore each destination — which might include Spain, France, Italy, Greece, and even northern Africa — this is the trip for you. The pace of Mediterranean cruises can certainly feel jam-packed, so consider extending your stay in your departure city either before or after your cruise. Also remember that smaller ships will be able to dock in smaller ports, such as Seville, Marseilles, Bordeaux, Crete, and along the Amalfi Coast. As with Mediterranean cruises, European river cruises don’t offer much at-sea time. Rather, there are many stops with lots of sight-seeing and a tight itinerary. A river cruise will naturally allow you a glimpse into multiple cultures, just like a Mediterranean cruise. You might sail the Rhine, which typically takes you from Switzerland to Holland, passing towns and cities in France and Germany with their picturesque scenery and fairytale castles. If touring the Danube, you’ll journey from Germany to Romania, passing Austria, Slovakia, Hungary, and Croatia along the way. A Rhone/Saone itinerary takes you through wine country in France’s Provence and Burgundy regions. See Spain and Portugal along the Douro, cities like Prague and Berlin along the Elbe, and sail with other francophiles along the Seine from Paris to the English Channel. 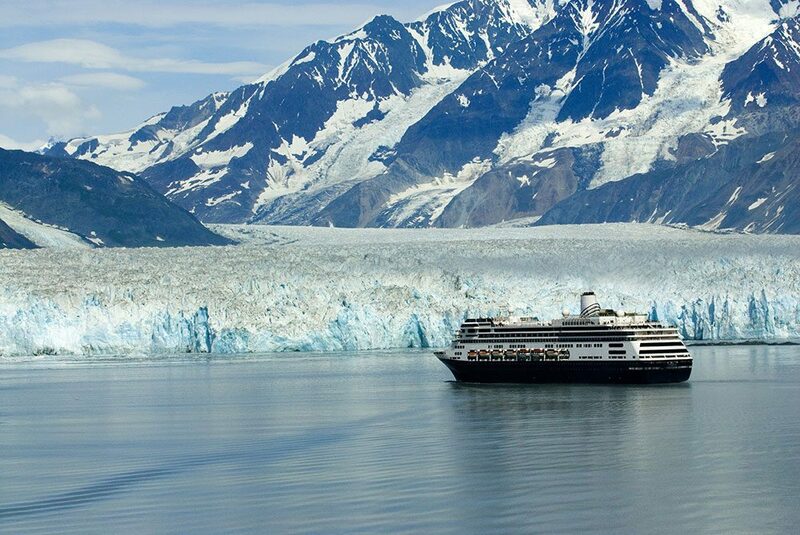 An Alaskan cruise is definitely a more laid-back type of voyage. In fact, the crowd on such excursions usually skews a bit older — a fun perk if you’re the type who loves making friends with and hearing stories from seasoned travelers. Looking to socialize with other newlyweds? It’s easy to pick out the young love and band together once on board. As for destinations, Alaskan cruises typically sail from Anchorage to Vancouver with stops in Ketchikan, Juneau, and Skagway. Enjoy stunning scenery and charming towns, as well as day trips unique to Alaska, such as glacier trips, kayaking, and whale watching. Wherever you may sail, make sure to arrive in your departure city at least the day before your cruise takes off. When booking, know that an exterior room with an ocean view will cost more than an interior room, but it’s worth the splurge so you can share a sunset cocktail on your private balcony. To maximize your at sea time, pre-book spa treatments and wake up early to snag a spot poolside. After spending a day on shore, make sure you’re back on board an hour before the ship scheduled to set sail again. Better safe than sorry! And finally, take note of any dress codes your cruise ship might have. Some of the more upscale restaurants on board might require formal wear, or have rules against shorts. If in doubt, reach out to the cruise line with all your questions, or search online forums to get in touch with other travelers. Bon voyage!